Thomas Wilson (1524-1581) was an English diplomat and judge, a courtier at the court of Elizabeth I. He is now remembered for his Logique (1551) and The Arte of Rhetorique (1553), an influential text. James Franklin calls these the first complete works on logic and rhetoric in English. He also wrote A Discourse upon Usury by way of Dialogue and Orations (1572), and translated Demosthenes. He was the son of Thomas Wilson of Strubby, in Lincolnshire. He was educated at Eton College and King's College, Cambridge, where he joined the school of Hellenists to which John Cheke, Thomas Smith, Walter Haddon and others belonged. He graduated B.A. in 1546 and M.A. in 1549. In 1551 he produced, in conjunction with Walter Haddon, a Latin life of Henry and Charles Brandon, dukes of Suffolk. His earliest work of importance was The Rule of Reason, conteinynge the Arte of Logique set forth in Englishe (1551),which was frequently reprinted. It has been maintained that the book on which Wilson's fame mainly rests, The Arte of Rhetorique, was printed about the same time, but this is probably an error: the first edition extant is dated January 1553. It is the earliest systematic work of literary criticism existing in the English language. Wilson threw in his lot with the Dudley family, and when they fell, he fled to the Continent. He was with Sir John Cheke in Padua in 1555-1557, and afterwards at Rome, whither in 1558 Queen Mary wrote, ordering him to return to England to stand his trial as a heretic. He refused to come, but was arrested by the Roman Inquisition and tortured. He escaped, and fled to Ferrara, but in 1560 he was once more in London. 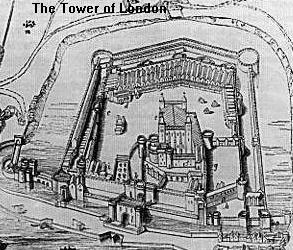 Wilson became Master of St Katherine's Hospital in the Tower, and entered parliament in January 1563. In 1570 he published a translation, the first attempted in English, of the Olynthiacs and Philippics of Demosthenes, on which he had been engaged since 1556. His Discourse upon Usury appeared in 1572. The Arte of Rhetorique gives Wilson a place among the earliest exponents of English style. He was opposed to pedantry of phrase, and above all to a revival of uncouth medieval forms of speech, and encouraged a simpler manner of prose writing than was generally appreciated in the middle of the 16th century.